Looking for an action-adventure with an epic story and unique gameplay? Search no more. 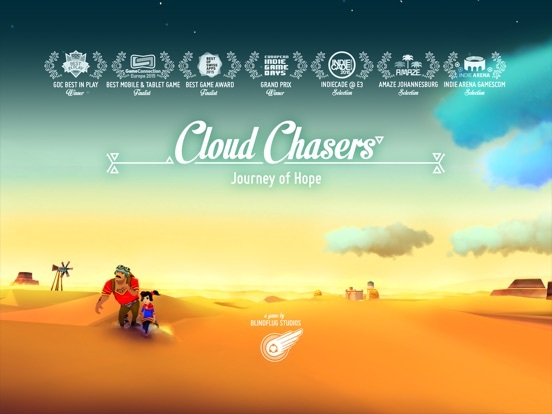 Cloud Chasers - Journey of Hope is the fix. 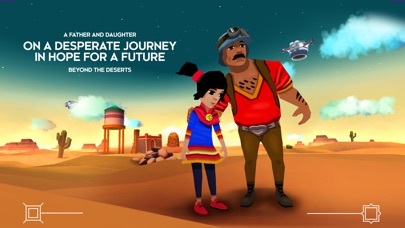 Guide a trailblazing father and daughter team through the deadly deserts of a dystopian future. 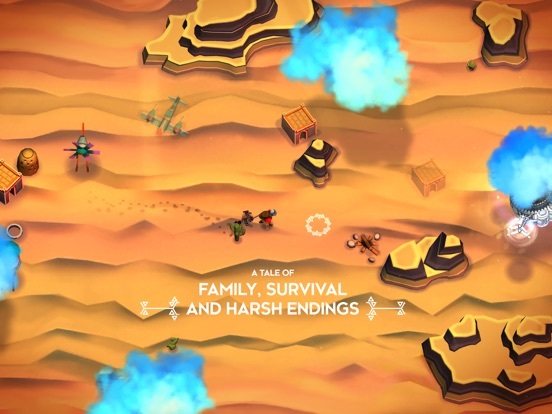 Experience multiple narrative encounters with the weird, wicked and wondrous inhabitants of the five deserts. 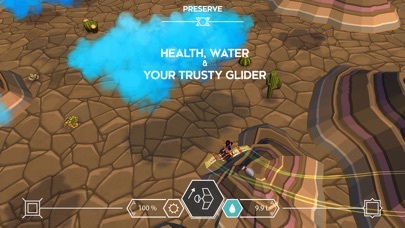 Fly high through the clouds with your trusty glider and collect the water you will need to survive. 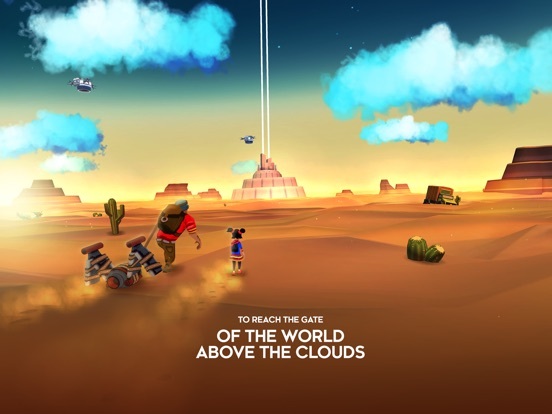 Reach the safe haven above the clouds by strategically managing your inventory and resources. 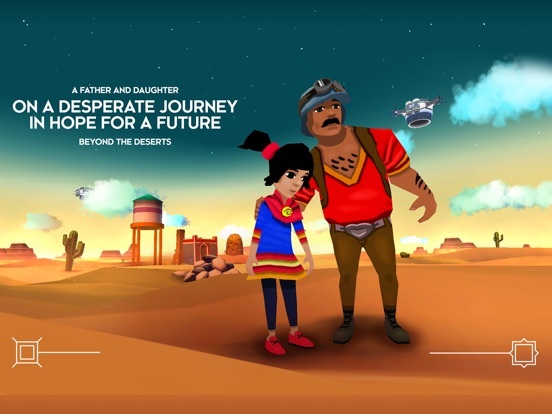 ======= STORY Cloud Chasers - Journey of Hope offers dozens of non-linear narrative encounters in a dystopian desert, allowing for multiple play-throughs and the immersion into an original and epic storyverse. 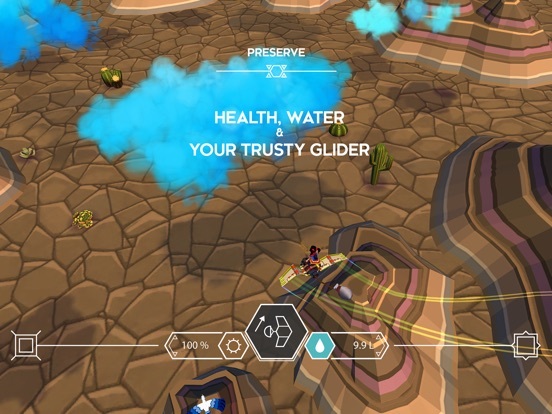 ACTION Navigate your glider through the clouds to collect the last drops of precious water while dodging the deadly harvester drones from the world above. 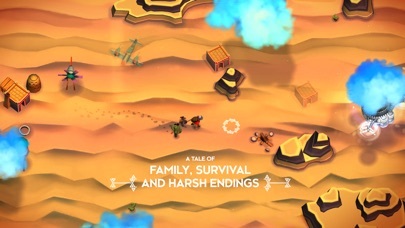 SURVIVAL Survive the desert and maintain your health— manage your equipment, upgrade your glider and trade for the right items. 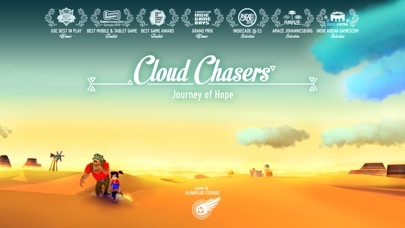 Cloud Chasers - Journey of Hope The new game from Blindflug Studios, the creators of First Strike ======= *Winner - "Grand Prize" - European Independent Game Days 2015* *Winner - "Best in GDC Play" - GDC Play 2015* *Finalist - "Innovation Award" - European Independent Game Days 2015* *Finalist - "Best Mobile & Tablet Game" - Game Connection Paris 2015* *Finalist - "Best Game Award" - Best of Swiss Apps 2015* *Official Selection - Indiecade @ E3 2015* *Official Selection - Indie Arena Gamescom 2015* *Official Selection - Amaze Festival Johannesburg 2015* ======= "It sounds like a really interesting game ... Keep an eye out for this one!" 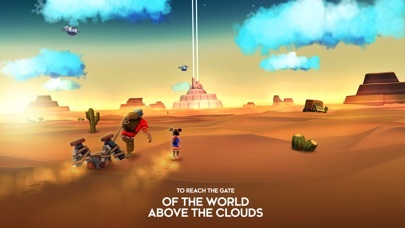 - Carter Dotson, Toucharcade.com "Cloud Chasers looks like an audio-visual work of art, and I don’t expect anything less when it hits the app stores" - Dan Vlasic, Pocketmeta.com "Cloud Chasers is a very compelling project that I look forward to see in its finished state" - Jack Gardner, extralife.com ======= Compatibility: Recommended: iPhone 5S or higher, iPad 3 or higher Required: iPhone 5 or higher, iPad 2 or higher IMPORTANT: Not compatible with iPod Touch!